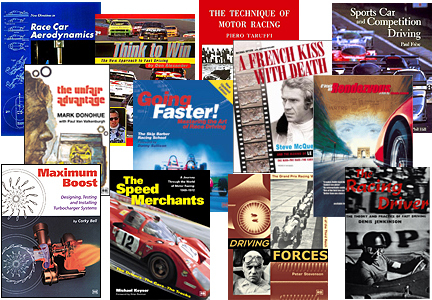 Covers for selected titles shown. Please scroll down for complete list. 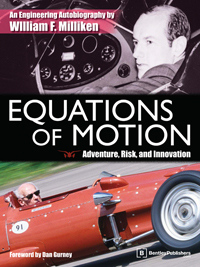 Equations of Motion is the "technical autobiography" of the automotive and aeronautical engineering pioneer Bill Milliken. Hardcover, 7 7/8 in. x 10 1/2 in. In 1952, Carroll Shelby, was a bankrupt chicken farmer from Texas. In his early 30s with a young family, it was time to take stock. Re-join the rat race or follow his heart—motor-racing? Filmed in 1976, the revered short film by director Claude Lelouch -director of Academy Award winning “A Man and a Woman”/”Un Homme et Une Femme” - is regarded as the ultimate chase scene.